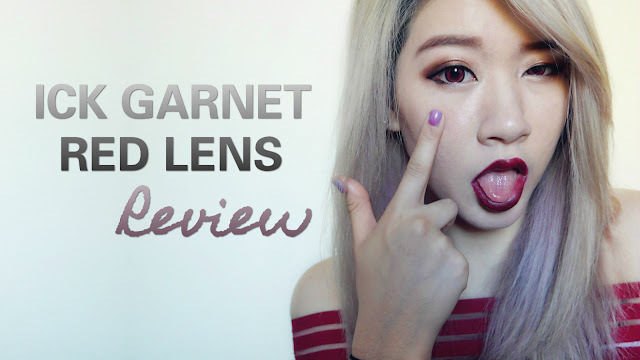 If you've never worn lenses before I highly recommend you to this read this guide! ^^ *Always soak your lenses in solution for at least overnight before wearing them. Each lens purchase comes with a free cute animal case as well. I love patterns like this because all the different tones blend nicely with your natural eye colour whether it's dark or light. Even though it's red, they look so natural! I could wear these everyday #RedEyesDontCare. 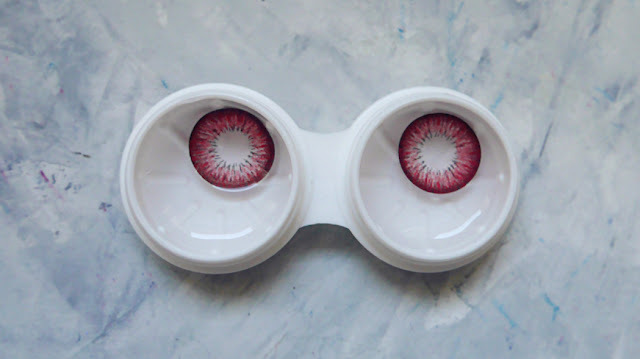 I imagine real life vampires eyes would probably look like these lenses l0l. Noticeable enlargement effect. 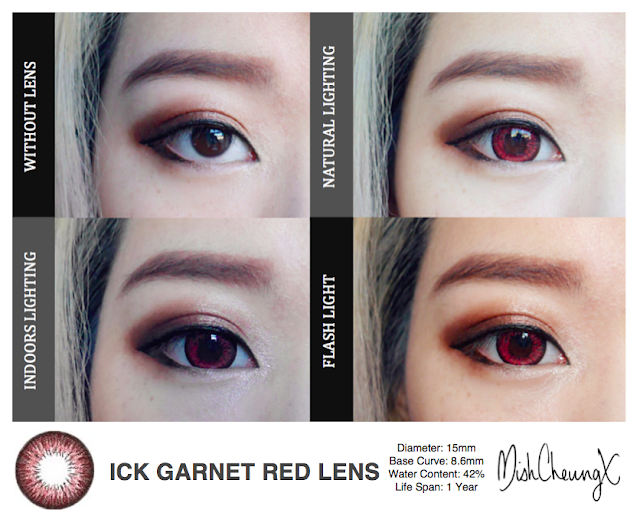 15mm - they are big lenses but because of the soft limbal ring it doesn't give you that unnatural doll eye effect. Thin and soft lenses, I didn't experience any discomfort or dryness yay~ My eyes are normally very dry and I have to use eye drops but these lasted me a good 8 hours (without eye drops) before I took them out to sleep. 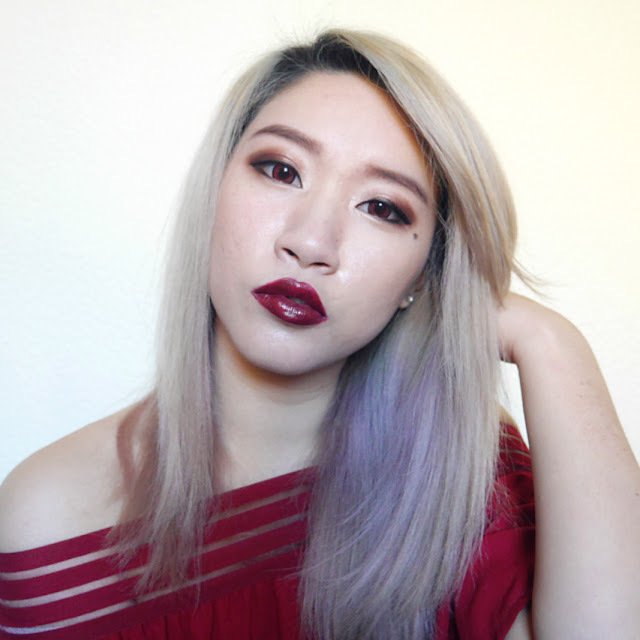 I adore these lenses! They're comfy, super pretty, long wear and also like I said before I could wear these everyday. 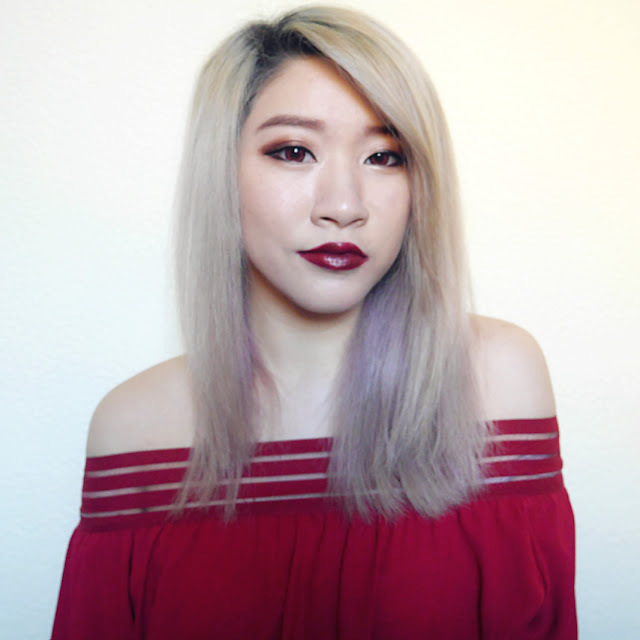 But if you're looking for red lenses for cosplay purposes these may not be for you as they are natural looking so you might want to opt out for a more vibrant one. They look beautiful on you. Thanks for the review! wowowowow :o so incredible result :o I'm in loooove! the lens are so rebel chic..pretty amazing dear.. love your blog.. Cool lenses :) And thanks for your comment on my blog!